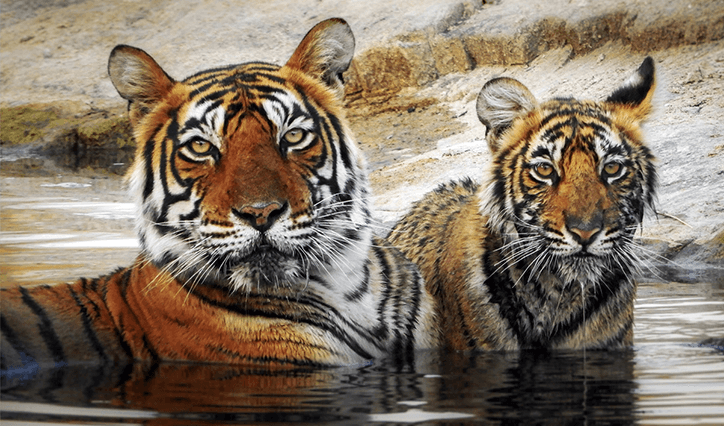 Ranthambhore National Park was declared a wildlife sanctuary in 1957 and in 1974 it gained the protection of the Government of India’s Project Tiger conservation programme. 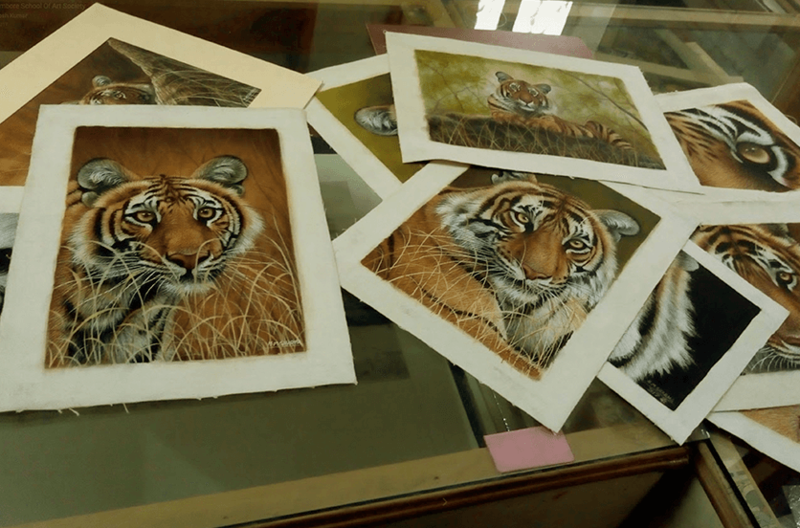 Since then, the numbers of resident tigers have been increasing thanks to dedicated conservation efforts in the area and the park is currently home to approximately eighty tigers. 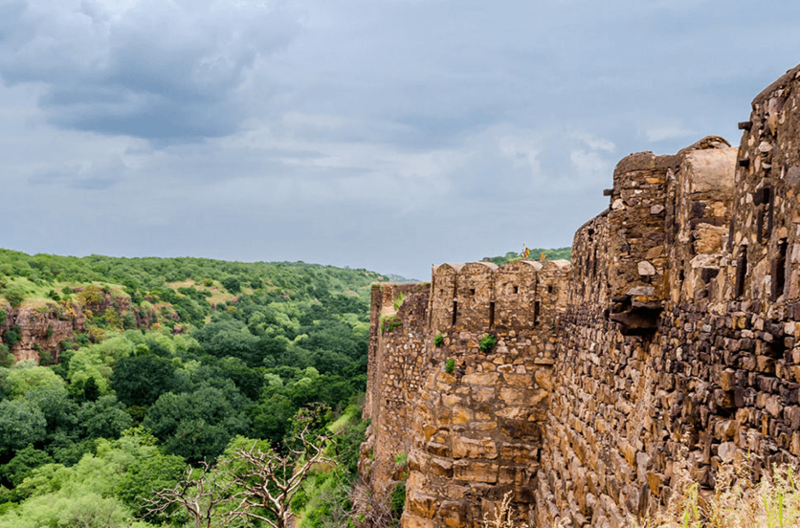 Ranthambhore National Park is also home to Ranthambhore Fort: a vast UNESCO World Heritage Site that overlooks the park and dates back one thousand years. 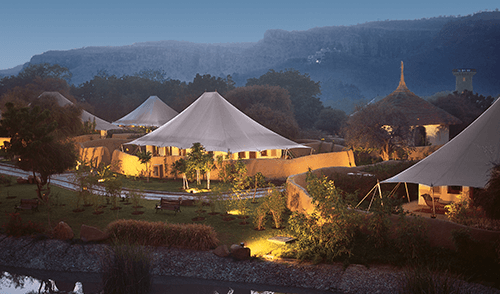 The Oberoi Vanyavilas Wildlife Resort offers luxury tented accommodation inspired by the opulent caravans of the royal families. 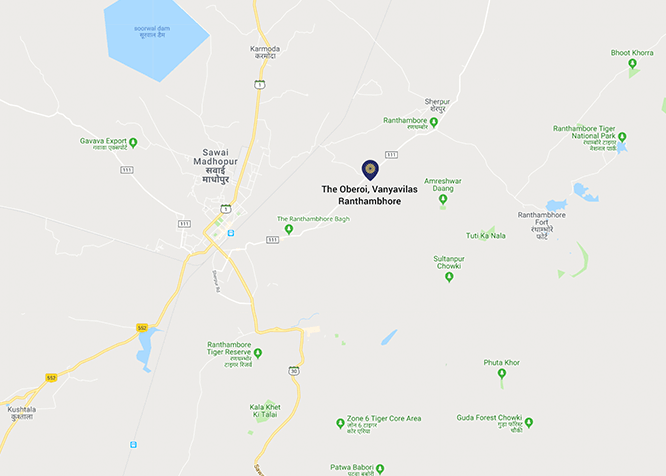 Fine restaurant serving authentic Rajasthani and international cuisine. 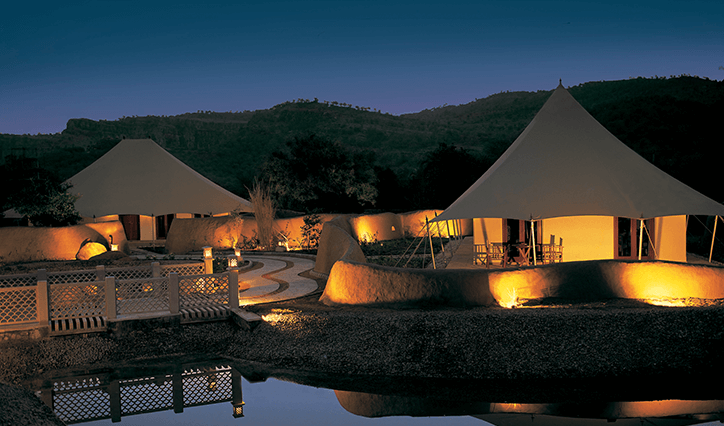 And spa experiences customised to suit your needs. 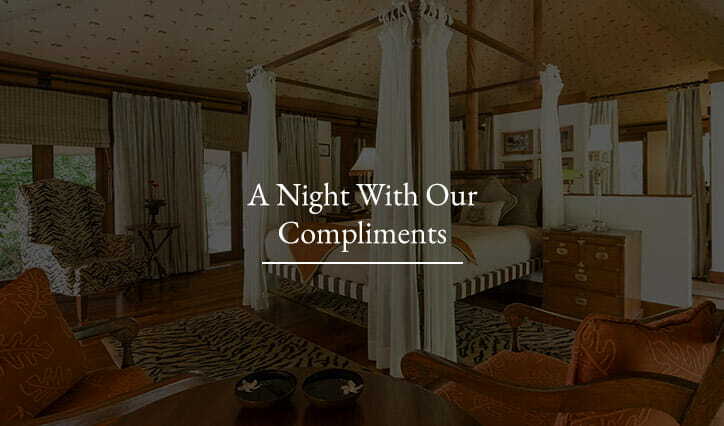 All accompanied by hospitality that is genuine and sincere. 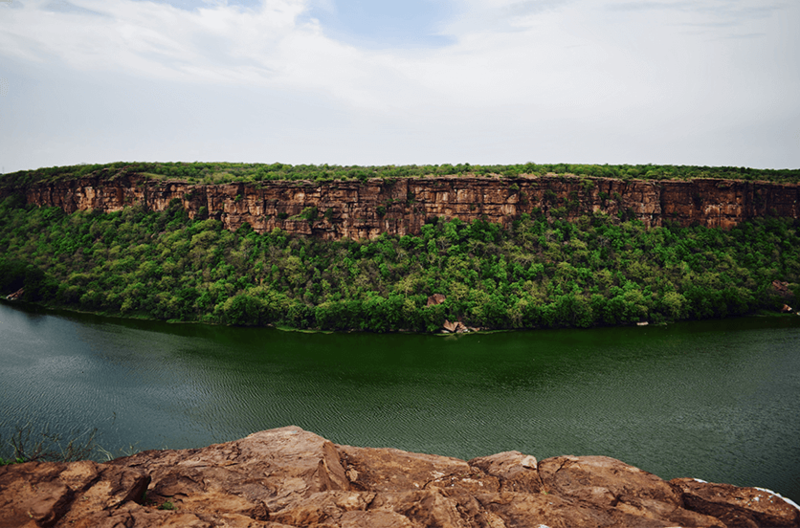 Ranthambhore National Park spans 392 square kilometres in the western Indian state of Rajasthan. 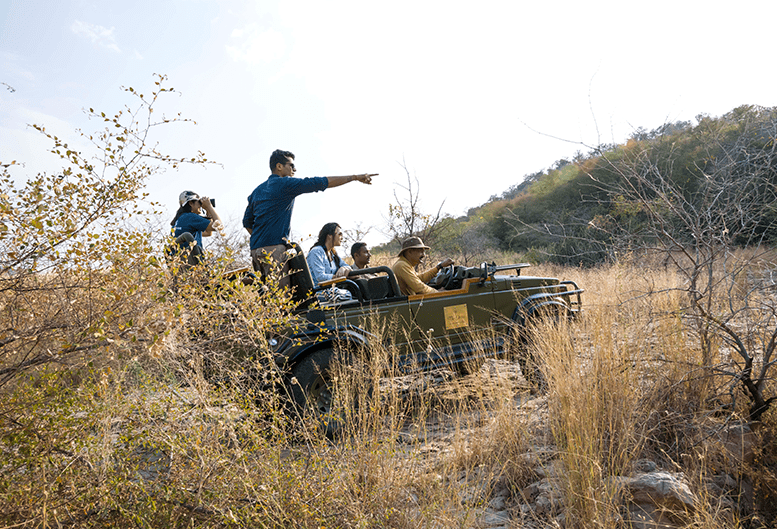 Situated just minutes by car from Ranthambhore National Park and Tiger Reserve, The Oberoi Vanyavilas Wildlife Resort is perfectly located for you to sight Royal Bengal Tigers in their natural forest environment. The top of the resort’s observation tower commands unrivalled views of the surrounding jungle. May we show you to your tent? 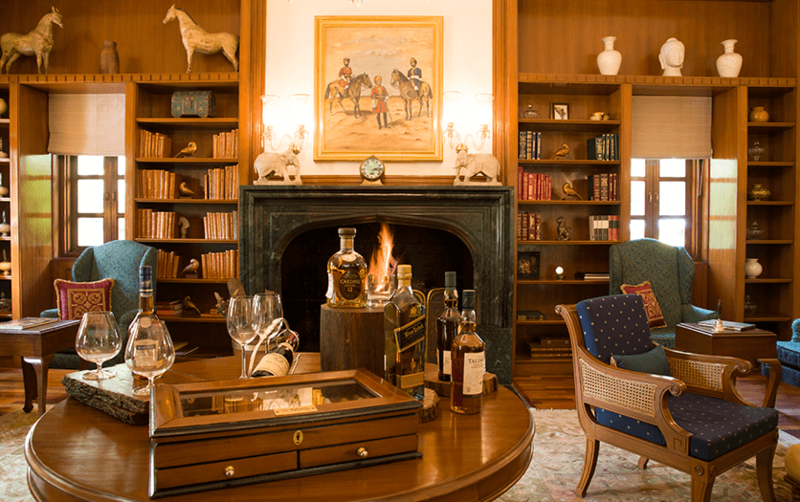 The perfect setting to enjoy a single malt, a cognac, a glass of fine wine or an expertly mixed cocktail. Challenge a friend to a game of chess or backgammon. 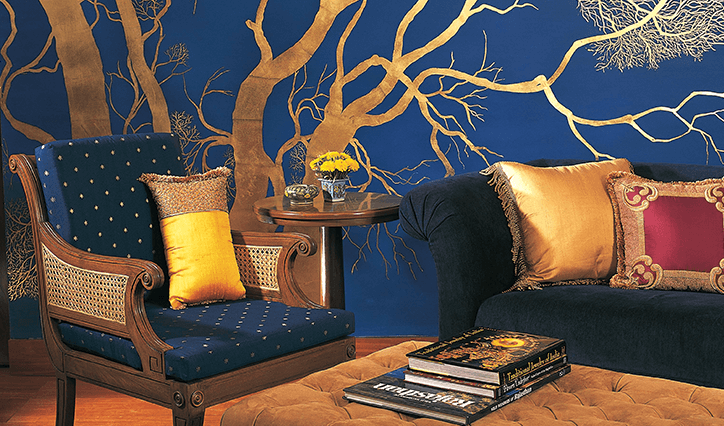 Sit down to one of our leather bound classics, or relax by the fireside surrounded by Ranthambhore’s tigresses; gently captured in oil paintings on the walls. 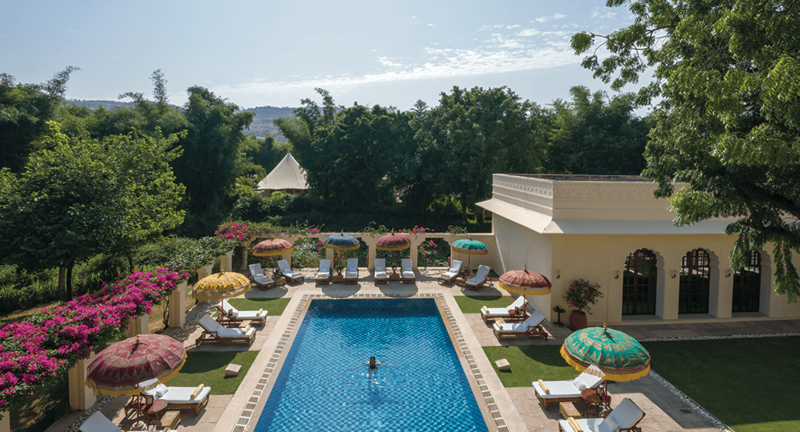 Oberoi spa experiences, a pool and a fitness centre. Beside the jungle. 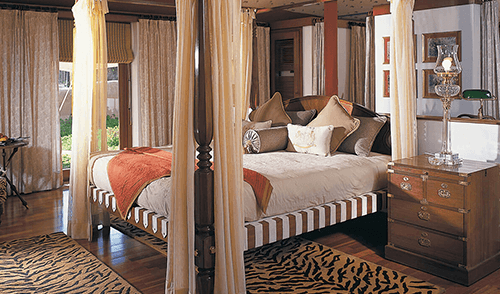 At The Oberoi Vanyavilas, Ranthambhore. 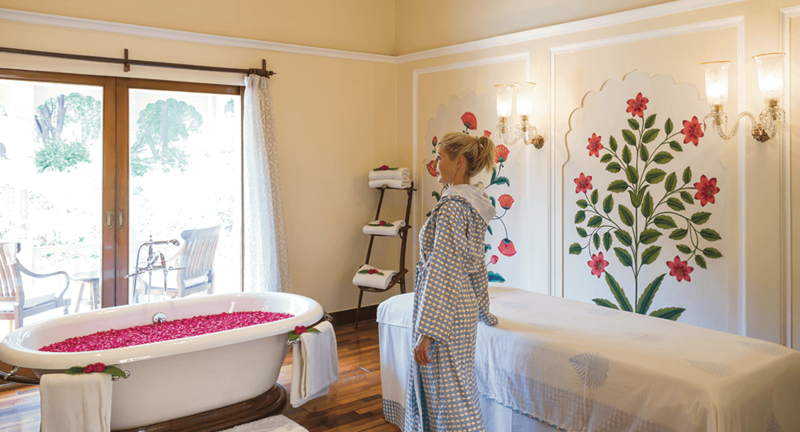 The Oberoi Spa Our spa has private treatment rooms with lily pond views, where you can experience treatments that include Aromatherapy, Eastern, Western and signature Oberoi massage. 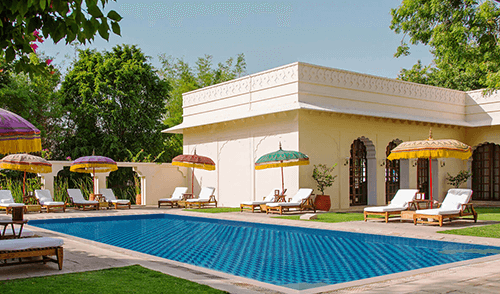 Swimming Pool Take a dip in our temperature controlled pool, lie back under the shade of a parasol or enjoy a light poolside snack. 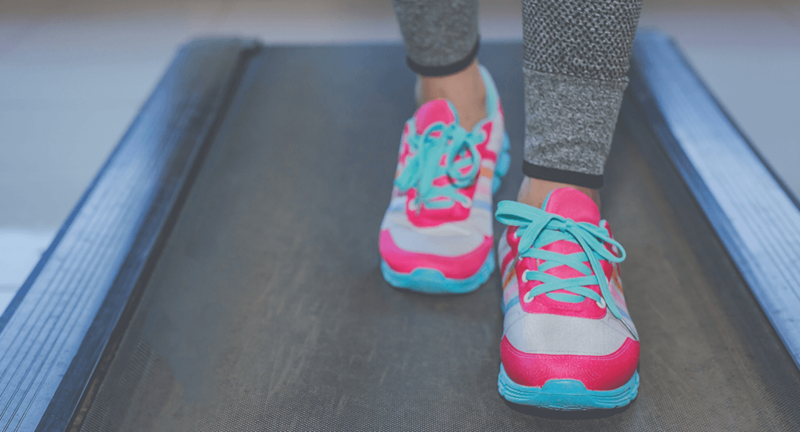 Fitness Centre Located in a large air conditioned tent, our fitness suite has a range of cardiovascular machines and weights. Dawn over the jungle, the sight of a tiger and her cubs at play. Sunset complemented by champagne at the top of our observation tower. Make the one you love centre stage with this private dining experience. 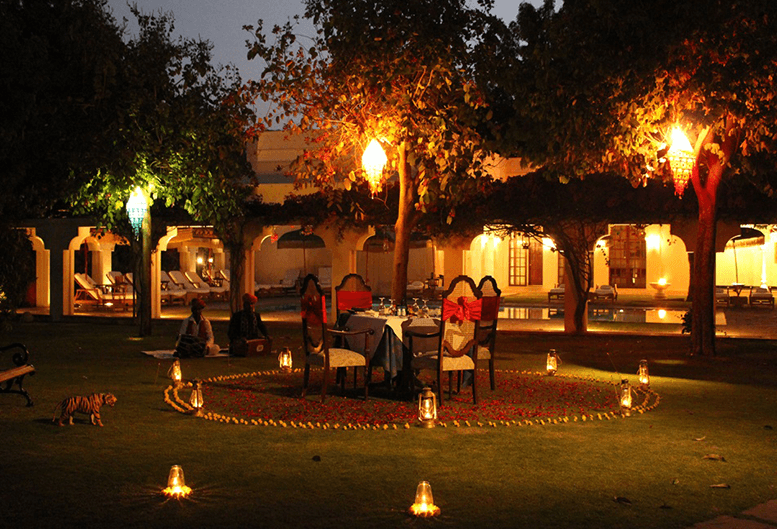 A specially handcrafted Royal Rajasthani Thali is even more special when enjoyed at a candlelit table on the stage of our natural amphitheatre. 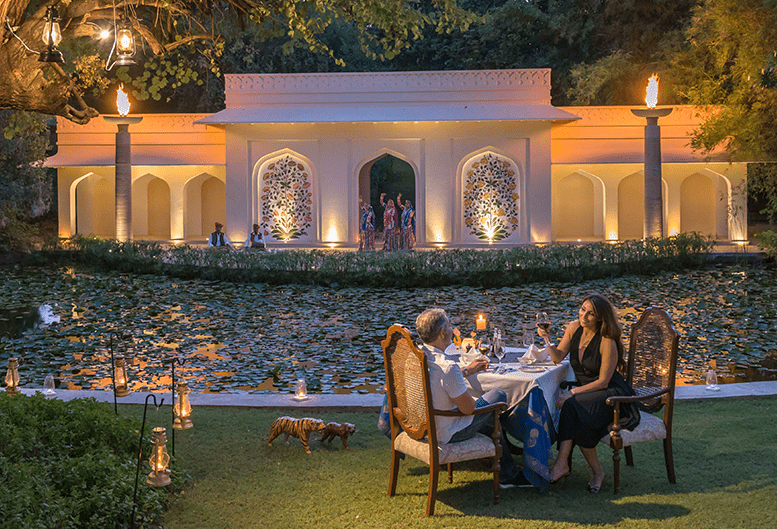 By the light of candles, mashaal fire torches and twinkling stars reflected in our lily pond, our amphitheatre is the perfect setting for romance. Live traditional folk dance can be arranged at extra charge. Sunset views across the jungle from the top of our private observation tower. The whisper of a warm evening breeze in the trees. The sparkle of champagne in your glass mirrored by the twinkle of stars overhead. Delectable canapés handcrafted using ingredients from our organic kitchen gardens. 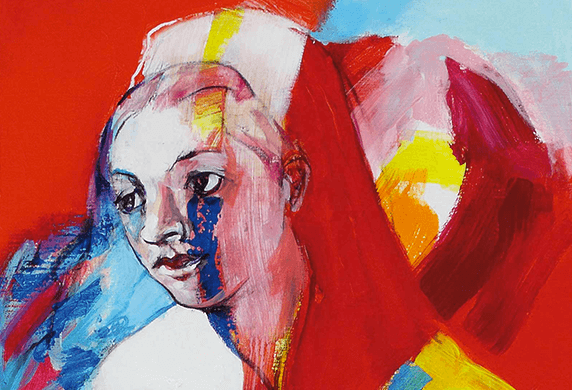 Intuitive, unobtrusive, personalised service. Let’s raise a toast to romance. An intimate private dining experience framed by lush mango trees hung with glowing lanterns. 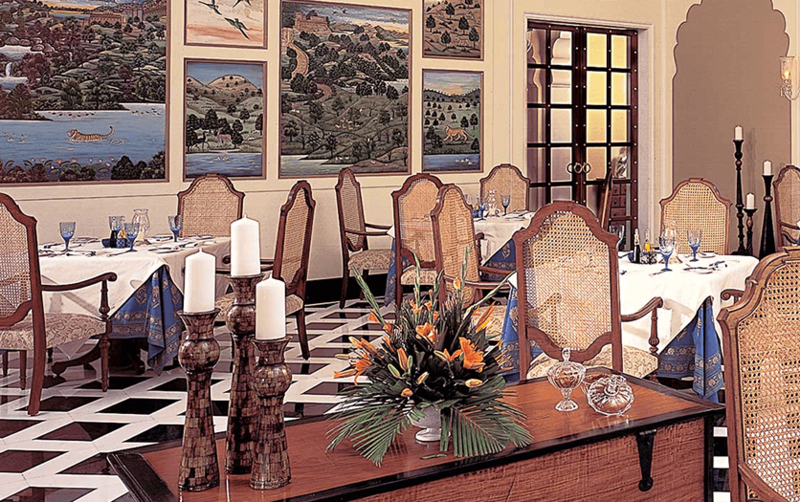 Savour specially curated delicacies or a la carte cuisine. 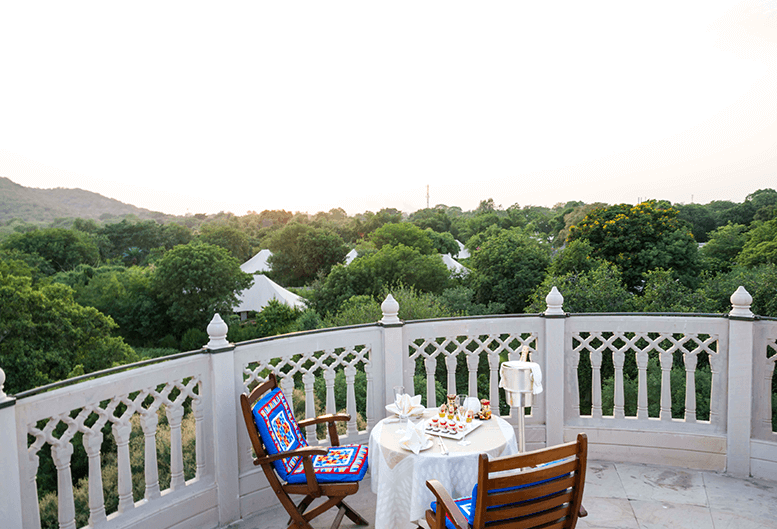 Coupled with our attentive, unobtrusive service for an experience that is distinctly Oberoi. Live traditional folk dance can be arranged at an extra cost. 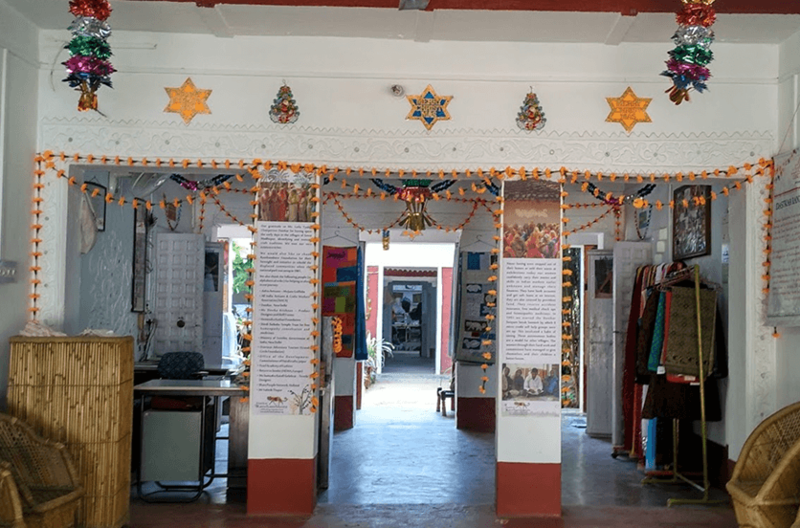 From the National Park and a UNESCO World Heritage fort, to tigers and crocodiles, local artisans and women’s cooperatives.